Alexis Sanchez is among the five players left out in Manchester United open training session at Carrington ahead of their Champions League group stage clash with Juventus at Old Trafford on Tuesday. 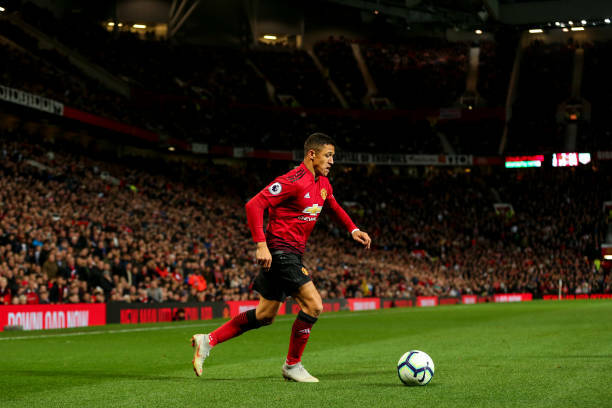 Jesse Lingard, Marouane Fellaini, Phil Jones and Diogo Dalot are also uncertain to feature, but Sanchez's absence made fans worry following speculation about his happiness at United amid a prolonged slump in form intensifies. Sanchez has netted three goals in 19 Premier League appearances for Manchester United, was left out of Jose Mourinho starting XI for Saturday match against Chelsea at Stamford Bridge, coming on for Marcus Rashford in the 85th minute as the two teams played out an entertaining 2-2 draw. Mourinho afterward explained that he decided to put Sanchez on the bench because the forward returned late from international duty with Chile, joining the rest of the squad in London rather than participating in training ahead of the match. It is not clear if he is injured.